In 2013, crowdfunding websites raised a staggering $5.1 billion to finance every kind of project and initiative imaginable. According to a January Forbes article, roughly 30% was raised for social causes. Since 2012, AdoptTogether, the first nonprofit crowdfunding site devoted to adoption, has raised over $10 million for more than 2,300 families. With its explosive growth and effectiveness, crowdfunding has changed the way we finance pretty much everything. If you need to fundraise in order to afford an expensive adoption, you should seriously consider crowdfunding as a way to help fund it. However, before you select a platform and start a crowdfunding campaign, do some research. Check with adoption forums, online communities and other adoptive families that used crowdfunding successfully to learn from their experiences. 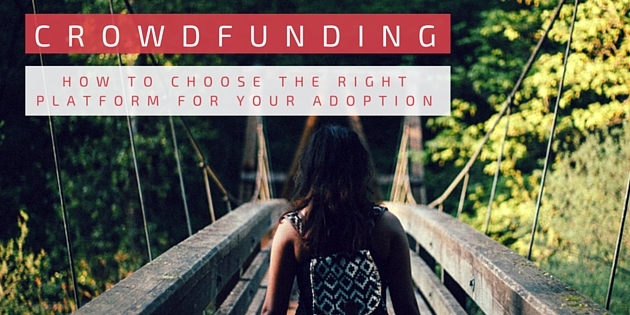 In addition, we’ve compiled our own criteria for how to choose the right crowdfunding platform for your adoption. Fees. Fees should be clearly visible on every crowdfunding website. Watch out for any sites that hide them or make it difficult to find. Fees may include listing or setup fees, transaction fees and payment processing. Look for sites that offer total fees of 5% or less like AdoptTogether. Type of platform. There are 4 types of crowdfunding platforms: donation, rewards, debt, and equity. For adoption, we strongly consider using a donation platform which provides the donor with a tax receipt to claim the gift on their taxes. 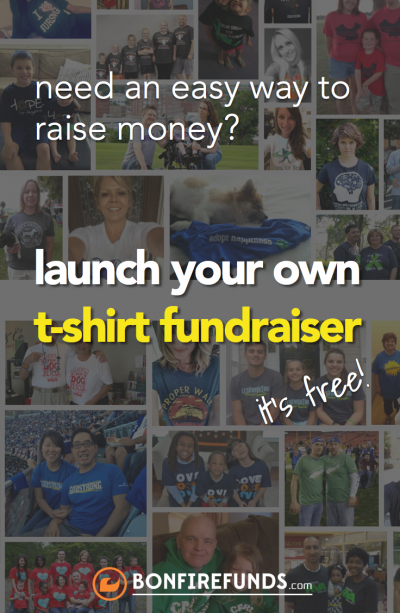 Another option would be to use a rewards platform and sell adoption t-shirts. Personal fundraising pages. Personalize your page to resemble the unique personality of your family so that your friends and the people in your network will immediately recognize, connect with and want to donate to your adoption. Share your story on video. The best, most successful campaigns include a compelling, personal story. They utilize some form of video communication on their fundraising pages. Be clever, creative and authentic. Whatever you do, don’t be boring. Social media. Leverage the power of your friends and their friends to drive the most traffic to your site. Utilize real-time statistics and continue sharing updates and key milestones by email, on your blog and social media to create visibility and momentum. This will keep people engaged and informed about your campaign. More than likely, it will reach new people and networks who don’t even know you but want to support you in reaching your goal faster. Tracking and administration. You want the platform to perform as many administrative tasks for you as possible. This should include real-time donation tracking and sending donation receipts. The less time you spend on administrative tasks, the more time you have to focus on the success of your fundraising campaign. While the platform you choose is important, the success of your campaign is typically not dependent on it. According to the feedback we’ve received from adoptive families, the most important factor in determining the success of your crowdfunding campaign is how well you develop, promote and share your story with your existing networks. We agree. 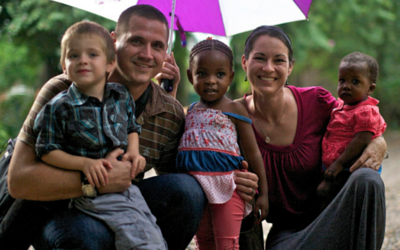 AdoptTogether – This is our favorite online fundraising site for adoption! The first and largest crowdfunding site devoted to adoption, AdoptTogether has helped raise over $10 million for more than 2,300 families. AdoptTogether allows you to fundraise 100% of the expenses for domestic, international, and embryo adoptions. All donations are tax-deductible and the funds are awarded to each family through a grant. AdoptTogether is easy to use and allows you to manage all of your adoption fundraisers completely online. Get Exclusive Free Access To The Fund Your Adoption Bootcamp when you Fundraise With AdoptTogether. Child Advocate. Entrepreneur. Fitness Junkie. Parent. 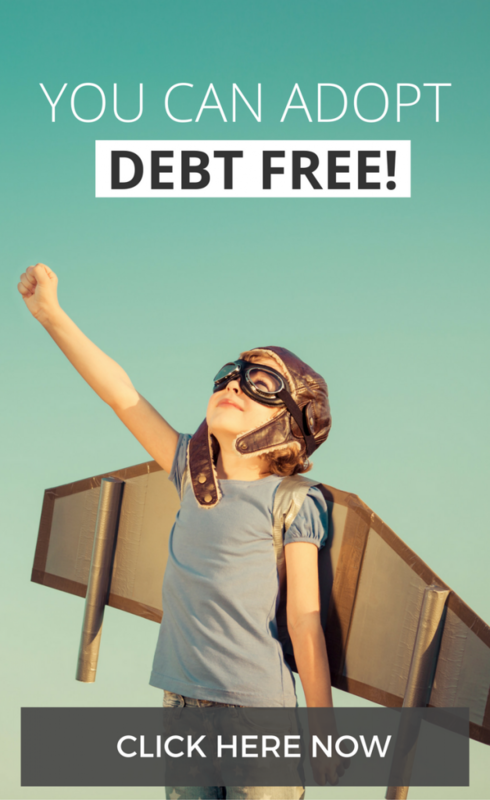 Jeremy is an adoption fundraising coach that provides creative strategies and resources that empower families to adopt without debt.